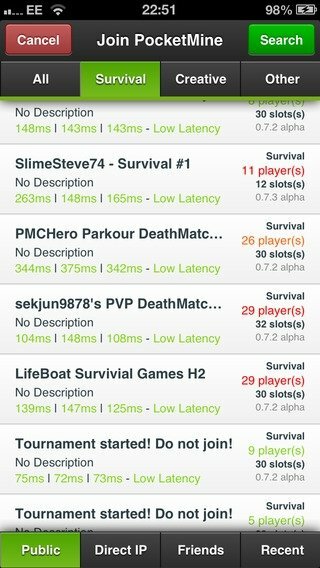 No more sharing the same wifi network to be able to play Minecraft's multiplayer mode. 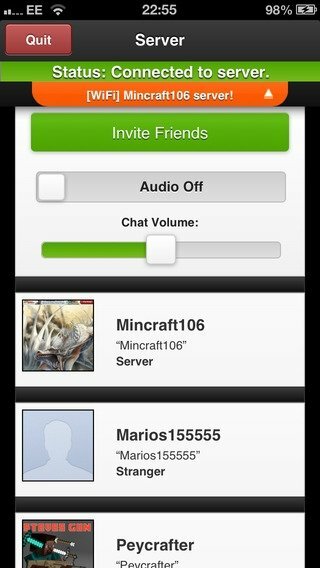 With Multiplayer for Minecraft PE you can play on hundreds of servers privately or against your friends. 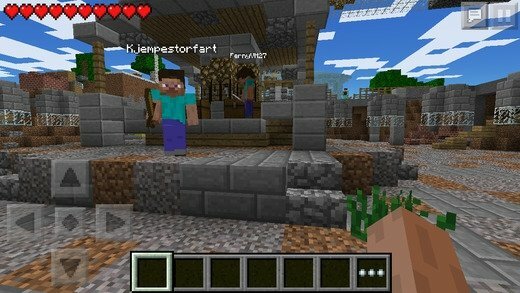 You're going to have at your reach the most important Minecraft Pocket Edition servers, as well as exclusive ones for this game, such as Mini Games, Temple of Notch, Dungencraft o Legendcraft. 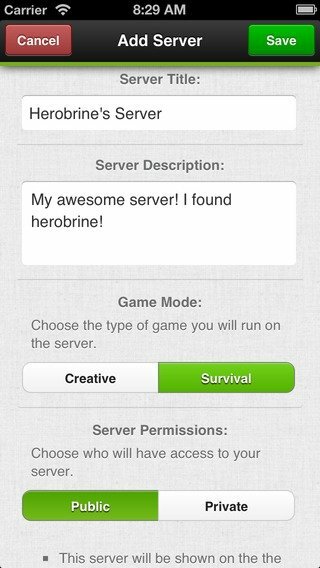 The lovers of the pocket version of Minecraft will be delighted. 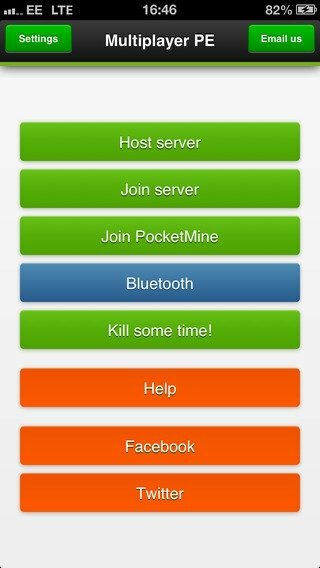 As well as being able to use the voice and chat functions for free while you play, this Multiplayer Minecraft Pocket Edition adds another interesting function: it allows us to create and host our own Minecraft servers and advertise them on the application so that other gamers can join in.